All pictures courtesy of Ros Rhodes. 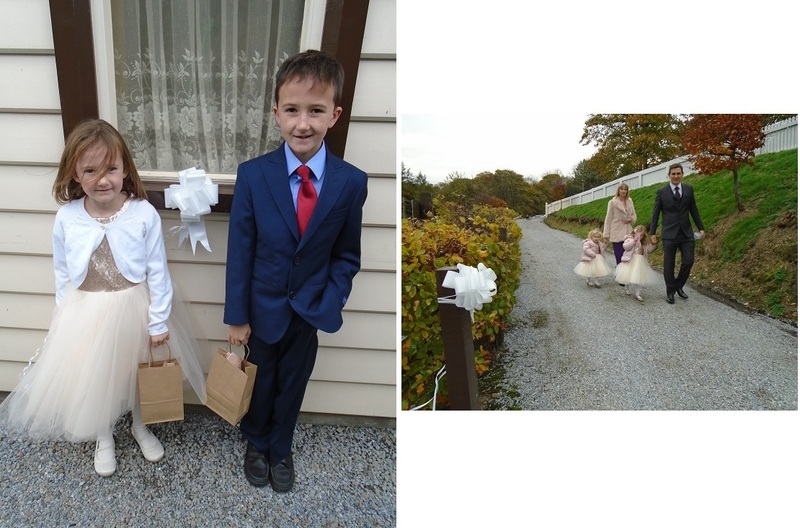 The KDR ran its Ghost Trains on 27th and 28th October and we also had a booking to provide transport for the wedding of Daisy and Aaron on Saturday 28 October 2017. One of our units, Spirit of Speyside, was decorated for the Ghost Trains and naturally this was not suitable for wedding transport so our other unit, Spirit of Banffshire, was decorated more suitably and used for the wedding. The above pictures show the champagne reception at Keith Town platform. 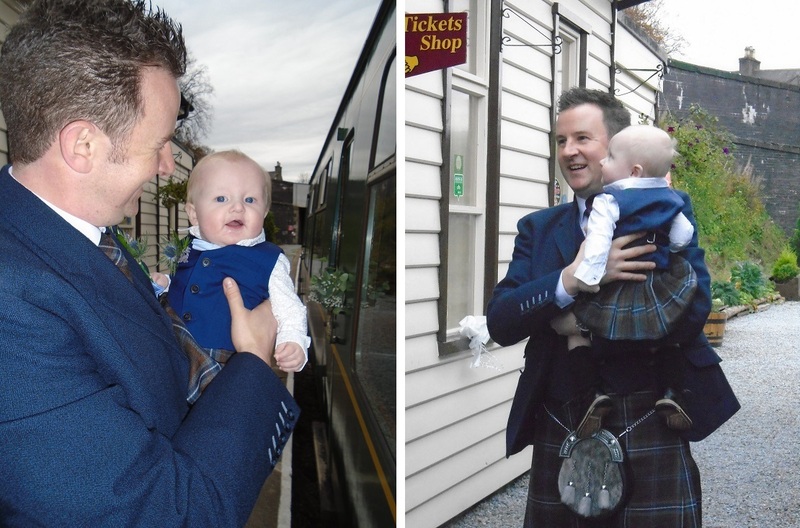 The above photos show the wedding decorations at Keith Town station and on the Spirit of Banffshire. The above photos show some of the participants in the wedding. Some of the wedding guests on the platform at Keith Town station. A very important little guest…. The bridal party arrives by car and transfer to the Spirit of Banffshire. The bride and family and some of the guests. More guests who all seem to be enjoying the train journey. 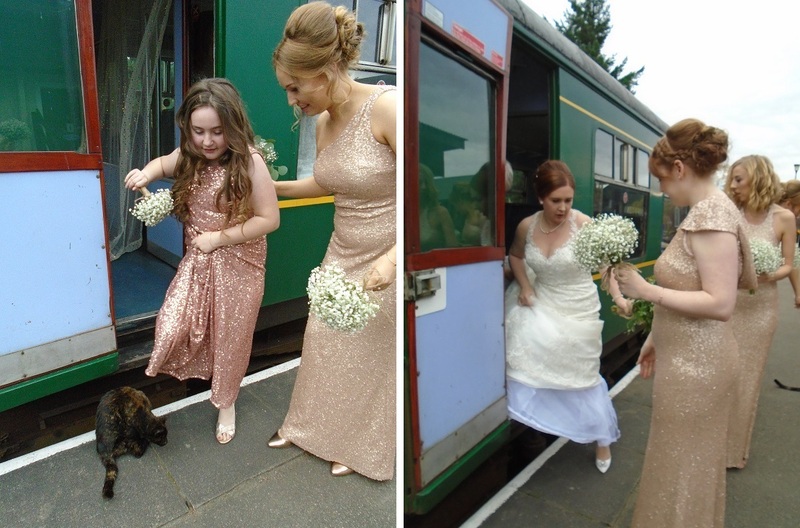 Bridesmaids leaving the train at Dufftown, Rosie the one-eyed, three-legged, station cat investigates. The Bride leaving the train at Dufftown. The Bride makes her way to the bridal limousine. The bridesmaids’ car leaves Dufftown station followed by the Bride’s car.